Limit the spread of Spotted Lanternfly: You can take steps personally to limit the chance you may spread Spotted Lanternfly. You can use the “Spotted Lanternfly Quarantine Checklist” to make sure items on and around your home are pest free before moving them. You can also check your vehicle for hitch hiking Lanternflies if you plan on leaving the quaratine area. Taking steps to not park or leave items under tree lines will also reduce the risk of Spotted Lanternfly becoming an unwelcome hitch hiker. Collect a specimen: Turn the adult specimen or egg mass in to the department’s Entomology Lab for verification. First, place the sample in alcohol or hand sanitizer in a leak proof container. A Sample Submission Form can be found in the Publications section below. Take a picture: Submit photographs to Badbug@pa.gov. 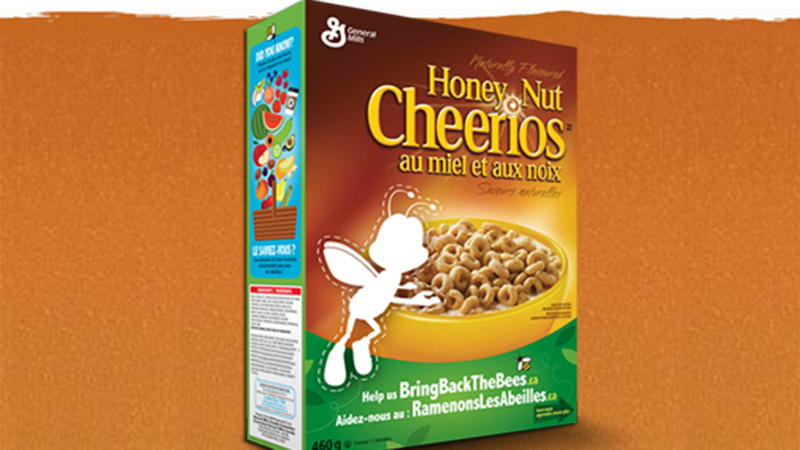 Report a site: Call the Bad Bug hotline at 1-866-253-7189 with details of the siting and your contact information. On September 22, 2014, the Pennsylvania Department of Agriculture, in cooperation with the Pennsylvania Game Commission, confirmed the presence the Spotted Lanternfly (Lycorma delicatula, (WHITE)) in Berks County, Pennsylvania, the first detection of this non-native species in the United States. Upon determination that the potential impact to Pennsylvania’s agricultural economy and natural resources was great, the Pennsylvania Department of Agriculture issued a quarantine with the intent to restrict the movement of the Spotted Lanternfly on November 1, 2014. Townships and Burroughs in eastern Pennsylvania are under a limited movement quarantine as the Department and its federal, state, local and non-governmental cooperators develop a strategy to eliminate this pest from the Commonwealth. Up to date maps of the quarantine are available from the side bar: “Lycorma Quarantine Map”. In Pennsylvania, the Spotted Lanternfly overwinters in egg masses laid on smooth bark, stone, and other vertical surfaces. The first of four immature stages, or instars, began emerging from the egg masses in mid-May, with a few individuals that had molted to second instar nymphs by the end of May. The first instar nymph is black with white spots and wingless. As it grows, the Spotted Lanternfly develops red patches in addition to the white spots. Nymphs spread from the initial site by crawling or jumping up any woody or non-woody plant it comes across to feed. In Korea, the Spotted Lanternfly is known to gradually prefer Tree-of-Heaven/Paradise Tree (Ailanthus altissima) as it nears the adult stage. Adults can be seen as early as the middle of July and take on a much different appearance. Adults at rest have a black head and grayish wings with black spots. The tips of the wings are a combination of black rectangular blocks with grey outlines. When startled or flying the Spotted Lanternfly will display hind wings that are red at the base and black at the tip with a white stripe dividing them. The red portion of the wing is also adorned with black spots. The abdomen is bright to pale yellow with bands of black on the top and bottom surfaces. While a poor flyer, the Spotted Lanternfly is a strong jumper. In the fall, adults prefer Tree of Heaven (Ailanthus altissima), another introduced invasive species in Pennsylvania, as their primary food source, mating and egg-laying location. However, Tree of Heaven is not the only tree or surface the Spotted Lanternfly will lay eggs upon – any smooth trunked tree, stone or vertical smooth surface can provide a potential host for eggs masses. Manmade items like vehicles, campers, yard furniture, farm equipment or any other items stored outside are suitable sites for egg laying. Egg laying begins in late September and continues through late November or early December. Tree of heaven (Ailanthus altissima), also known as Paradise tree, is a fast growing deciduous tree that is native to China. It is often found growing in disturbed sites or along roadways where it can establish rapidly. Ailanthus has smooth, light gray bark with large “palm-like” leaves that can grow up to 3 feet in length. The leaflets have smooth edges and 2-4 identifying glands on the underside of the leaflet near the stem. When crushed, the leaves will have a rancid smell often described as “spoiled” or “burnt” peanut butter. The tree of heaven tends to grow in clumps where many individual stems share one common root system. Some of these stems may succumb quickly while others may reach a height of 60-80 feet. Large clusters of blooming yellow-green flowers will hang from the end of new shoots in summer. Flowers will turn to seeds encased in winged, papery samaras (similar to maple seeds), that are tan to red in color, becoming dry and brown as fall approaches. There are several trees that are look-alikes to the tree of heaven. Toona sinensis is very similar in looks but there are several distinct differences. The bark of this species is dark brown with a reddish tint, often flaking in vertical strips as the tree ages. The “palm-like” leaves emerge pink or red and will turn green as they age. Unlike the rancid crushed leaf smell of the tree of heaven,Toona leaves have an oniony smell. Flowers are sweetly scented and cream in color producing a seed capsule that has 5 petals and contains winged seeds. This tree reaches 30- 40 feet in height. Smooth and staghorn sumac (Rhus glabra and Rhus typhina) are often confused with tree of heaven due to similarities in appearance and form. Sumacs produce red, fuzzy flower clusters which are very different from tree of heaven or Toonis. If the flowers are not present, identification can be made by the teeth present along the leaf edge and the tree’s mature height of approximately 20 ft. The crushed leaves do not have an offensive odor. Black walnut (Juglans nigra), although more similar to the tree of heaven when young, can often be ruled out as the invasive Ailanthus rather quickly when older. The leaves follow the same shape and “palm-like” look of the tree of heaven but are toothed along the leaf edge. Black walnut can become very large as they mature with rough, gray- black bark which is deeply furrowed. Fruits of the black walnut are edible nuts covered in a green, spicy smelling husk, and are approximately 3” in diameter. These will drop to the ground in early fall. As the year progresses third and fourth instar nymphs and adults will migrate to Tree of Heaven, as a primary host, and may be seen feeding on the trunk and branches of the tree. Trees can be afflicted with weeping wounds of sap on the trunks, with heavy populations causing honey dew secretions to build up at the base of the tree, blackening the base of the tree and surrounding soil around the base with sooty mold fungal growth. Increased activity of wasps, hornets, bees, and ants can be seen feeding on honeydew secretions and at tree wounds. In large population areas, adults will also be seen feeding on other trees in the surrounding area, including willows, maples, poplars, tulip poplars, birch, ash, and others. 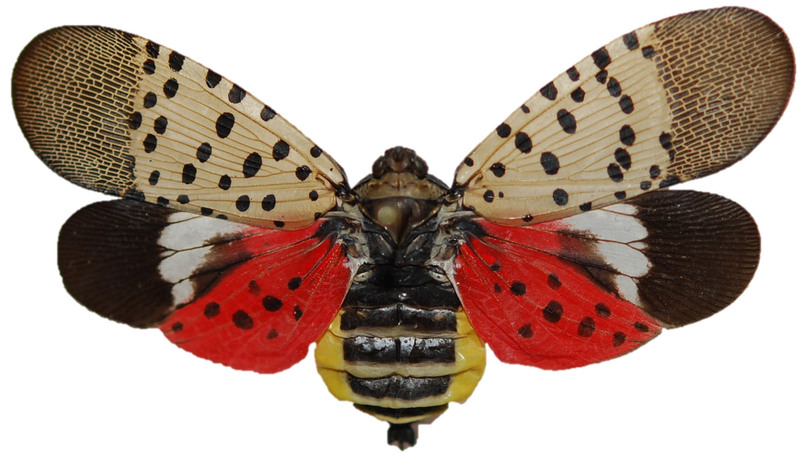 The Spotted Lanternfly begins laying eggs in masses of 30 to 50 eggs, covered in a brown, mud-like substance, in late September or early October. Egg masses may be found on adult host trees, especially Tree of Heaven (Ailanthus alitissima), moderately-sized stones and other smooth surfaced outdoor items, such as lawn furniture, stone and brick work, and outdoor recreational vehicles. The egg mass poses, perhaps, the greatest risk for accidental transport of the Spotted Lanternfly to new areas. An initial delimiting survey was conducted from October 2014 through December 2014 which suggested that the introduction of Spotted Lanternfly was limited to a small area of Eastern Berks County in Pennsylvania, and had likely only been there for a few years. Several businesses operate in the infested area and worked with PDA to provide locations where material might have been moved. These locations were inspected by PDA plant inspectors and their counterparts in other states. No detections were made at these sites. The United States Department of Agriculture assembled a new pest advisory group directly after the detection of the spotted lanternfly. This group meets weekly by teleconference and helps determine the impact of new pests, identifies resources, and offers guidance to a new pest response. This includes the identification of resources and the formation of a technical working group comprised of planthopper experts, which is able to answer questions about the pest. This group has supported Pennsylvania’s response by putting the state in touch with resources needed to respond to this new pest. In March, Pennsylvania was awarded almost $1.5 million through the Farm Bill to perform control work, conduct research, and implement outreach to affected citizens. Part of the award was made available to the Pennsylvania Department of Agriculture to implement control and perform survey work. The rest of the grant was made available to Kutztown University, Penn State University, and North Carolina State University to conduct research on the pest. Efforts will focus on identifying the host range of the pest, its impact on grapes, and an analysis of its DNA. A grant to perform outreach and extension was also awarded to Penn State University. In addition, through the efforts of the technical working group, several important questions are being investigated. These include testing the effects of chipping woody material on spotted lanternfly egg mass survivorship, the effects of various existing pesticides on immature life stages, and the attractiveness of certain plant volatiles for use in trapping programs. The Berks County communities, and local businesses operating in the area, have played a key part in Pennsylvania’s response to the introduction of Spotted Lanternfly. Public officials from Berks County have participated in several informational conferences, have donated resources, and have helped to keep their citizens engaged. Local businesses have agreed to operate under compliance, and many have voluntarily implemented mitigation practices as part of their operations. Citizens can help in several ways and several have participated in one of two official volunteer programs, the egg mass scraping program and the tree banding program. Egg masses are live and viable from about October through July. Volunteers can scrape them off of trees or smooth surfaces, double bag them and throw them in the garbage, or place the eggs in alcohol or hand sanitizer to kill them. Please also let us know of your efforts by clicking on the picture below and recording the number of eggs masses you scraped and/or destroyed. For directions on how to report your scraped and destroyed eggs masses follow the instruction on this page “Report Scraped Egg Masses Instructions” page. The estimated number of Spotted Lanternfly killed by Egg Mass Scraping based off of reported efforts. This number comes from the “Reporting Scraped Egg Masses Instructions” page. This number will be periodically updated to reflect the efforts of PDA and the community. Existing literature demonstrates that brown sticky tree bands are an effective, environmentally friendly way to catch spotted lanternfly nymphs. Through Federal Farm Bill funding, a limited number of bands have been made available for owners of confirmed infested properties. Two training sessions for owners of infested properties were conducted in April of 2015 and property owners began banding properties in May of 2015. In conjunction with the volunteer effort, the main focus is a large scale tree banding program, targeting known positive properties. In May of 2016 two-person crews spotted lanternfly crews will resume banding properties in the quarantined area, as well working with volunteers banding their own properties. While residents in quarantined area are notified by direct mailings, PDA employees are instructed to make every attempt to contact property owners before entering a property for banding. Employees carry state issued identification and wear safety vests that read “Pennsylvania Department of Agriculture Pest Survey” on the back. Many groups and organization are pulling together to find solutions to stop this new pest. In addition to the Farm Bill funded efforts, through the efforts of the technical working group, several important questions are being investigated. These include testing the effects of chipping woody material on spotted lanternfly egg mass survivorship, the effects of various existing pesticides on immature life stages, and the attractiveness of certain plant volatiles for use in trapping programs. Temperature data is being compiled by the US Forest service to help determine when immature stages hatch out. The DCNR has provided technical expertise on egg mass survey techniques and assisted with the mapping of Ailanthus altissima. The DEP has provided technical advice on chemical control options. Local groups like the Berks County conservation district and cooperative extension have assisted with logistical support and communications. The Plant Health Resource Center has provided for the rapid production and distribution of outreach materials. A huge amount of credit is due to District Township who have provided a staging area for PDA crews to operate from as well as space for public meetings. Working together, all of these entities, and others not mentioned here are helping to respond in a coordinated manner and to answer questions about the pest that still need to be answered. Since the pest is new to the United States, the department is reviewing a variety of options including eradication. Currently a quarantine is in place to stop the movement of this pest to new areas and to slow its spread within the quarantine. The quarantine affects a variety of plant, wood and stone products. Surveys are currently underway to determine the complete spread of this pest in Berks County and the surrounding counties. Efforts are also underway to ensure the Spotted Lanternfly is not present in other parts of the commonwealth. WHO WILL BE AFFECTED BY THE SPOTTED LANTERNFLY QUARANTINE? The quarantine is currently in place around the boroughs of Bally and Bechtelsville and the township of District, Colebrookdale, Earl, Hereford, Pike, Rockland and Washington. The quarantine may be expanded to new areas as further detections of the Spotted Lanternfly are detected and confirmed. Intentional movement of the Spotted Lanternfly is expressly prohibited and is a serious offense. Violations could result in criminal or civil penalties and/or fines. Spotted lanternfly is new to North America. Though a good deal of information is available, there are still a number of unknowns. In 2015, efforts by PDA and the other cooperating partners, researchers, and volunteers will need to be evaluated. Egg mass scraping and the tree banding programs will remove many insects from the population and reduce the size of the current population, but these activities will also help to better characterize how the pest is behaving in this new environment. Evaluation of methodology will lead to a stronger program as PDA and its partners continue to battle the spotted lanternfly.